Gideon's Teacher of the Year! Congratulations to Mrs. Carlisle for being named Imogene Gideon's 2018 Teacher of the Year! 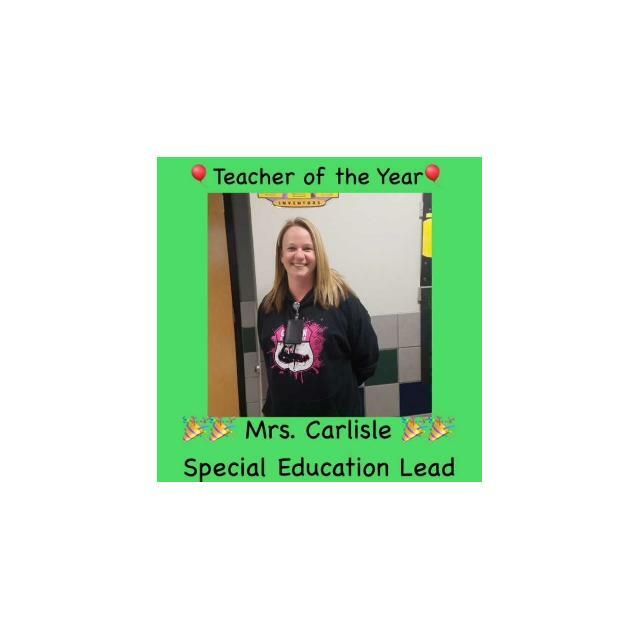 Mrs. Carlisle is a Special Education teacher but she wears many other hats around campus as well! We are so proud to call her our Teacher of the Year!